Throw away your lip liners and lip gloss, and unfollow celebrity Instagrams! There’s a new technique for lip filler and it’s only available at MunkMD. No more over-filled and fake-looking lips – this technique enhances your lips while maintaining a natural look. Tastefully plumped, beautifully balanced, and well hydrated…these are the qualities of Lips of Distinction. For the last two years Dr. Munk has been honing the art of lip injections to perfection. Through his own experience and in-depth knowledge of the structures and muscles surrounding the lips, he is able to produce consistently good and natural results. At MunkMD, injections are always performed by Dr. Munk himself, ensuring the safety and quality of each treatment. 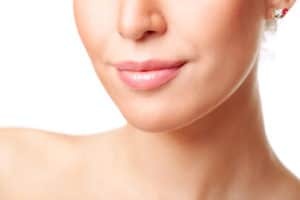 We can’t give away the secret of the technique, but we can say that Lips of Distinction are just that – not noticeably different, but certainly noticeable and distinct! As skincare trends are moving towards improving overall skin health and natural beauty, cosmetic treatments should follow. The key word here is natural – we have no problem talking about the aesthetic treatments we get done, but also don’t want to appear like we’ve “had work done.” We want to look like ourselves – but better! Don’t you? As with any treatment performed at MunkMD, the technique is used as a basis and takes your individual features and requirements into consideration so that we can provide the best results for you. This means that Dr. Munk can address things such as volume imbalance, crookedness, loose skin, and fine lines and wrinkles. Our mouth is a focal point on our face – whenever we talk, smile, or eat we’re bringing attention to our lips. The Lips of Distinction technique is wonderful for older people who want to improve lines and wrinkles around the mouth, or younger people who just want to perk up their lips.